Children are our future. 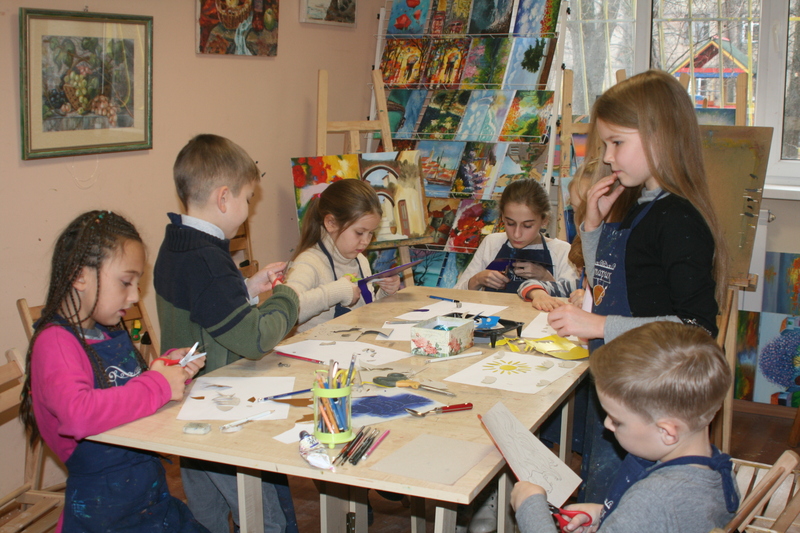 What they will bring to this world and what traditions they will keep depends on us. 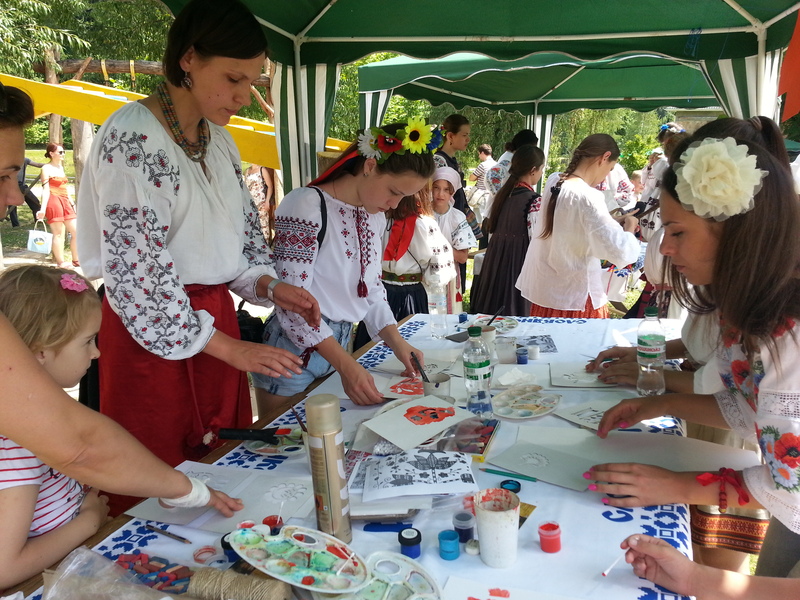 So our task is to bring these traditions home to our children. 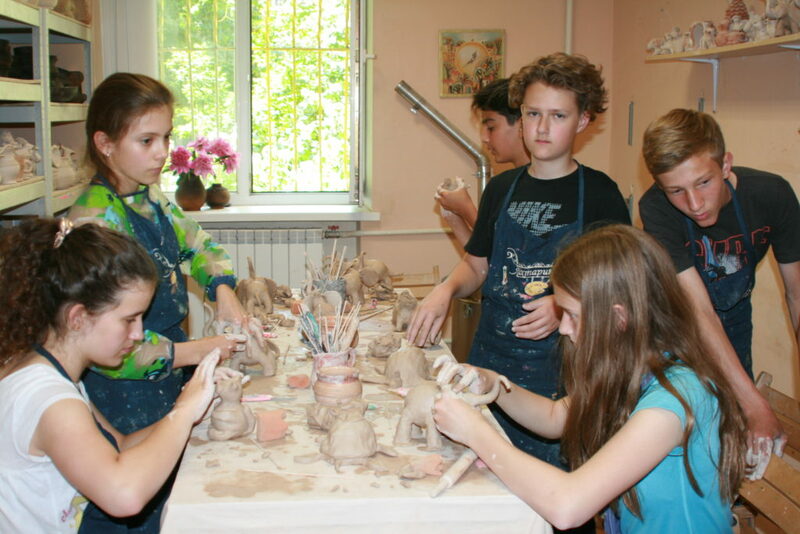 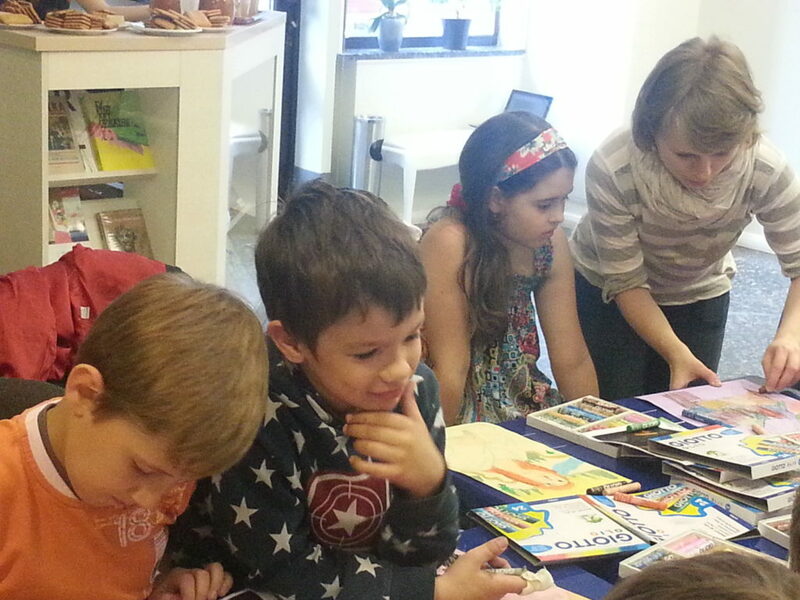 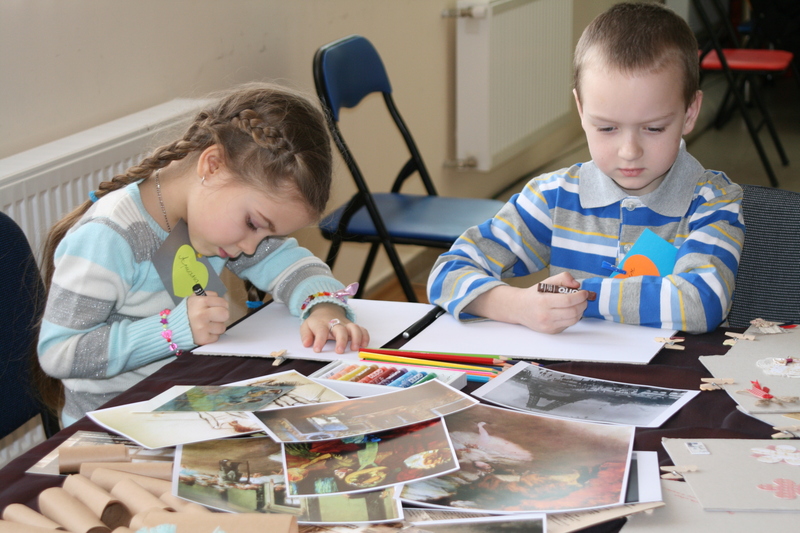 The Lantern Art Studio organizes master classes in traditional Ukrainian crafts and contemporary creative workshops for schoolchildren –the students of the 1st to 11th grades. 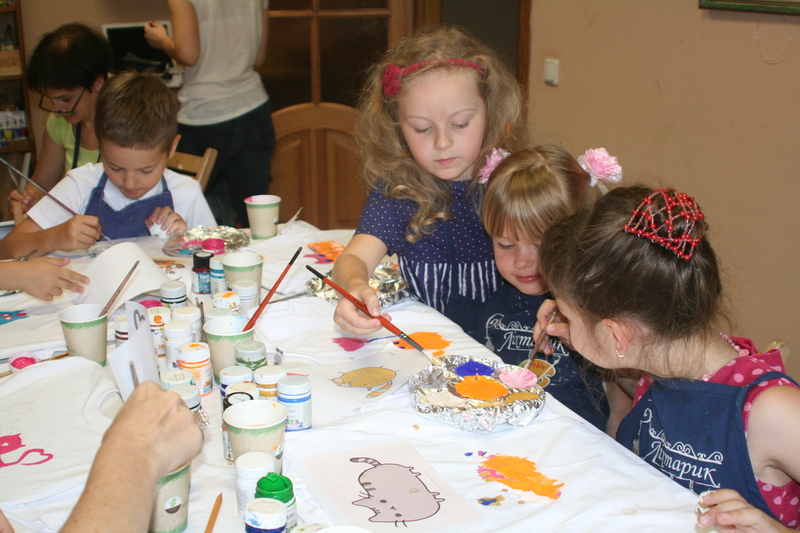 – a pysankarstvo workshop (decorating Easter eggs with wax-resist method) during which on the eve of Easter the children painted eggs and got acquainted with traditional Easter rites. 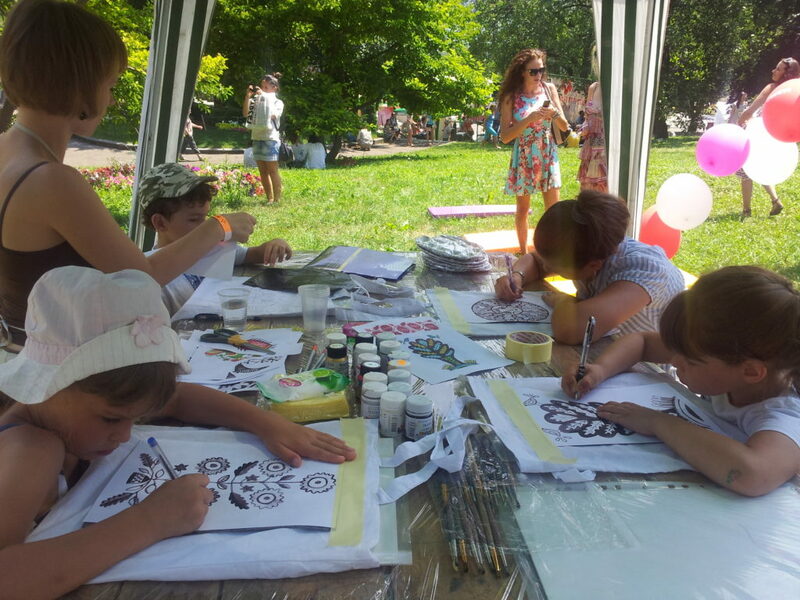 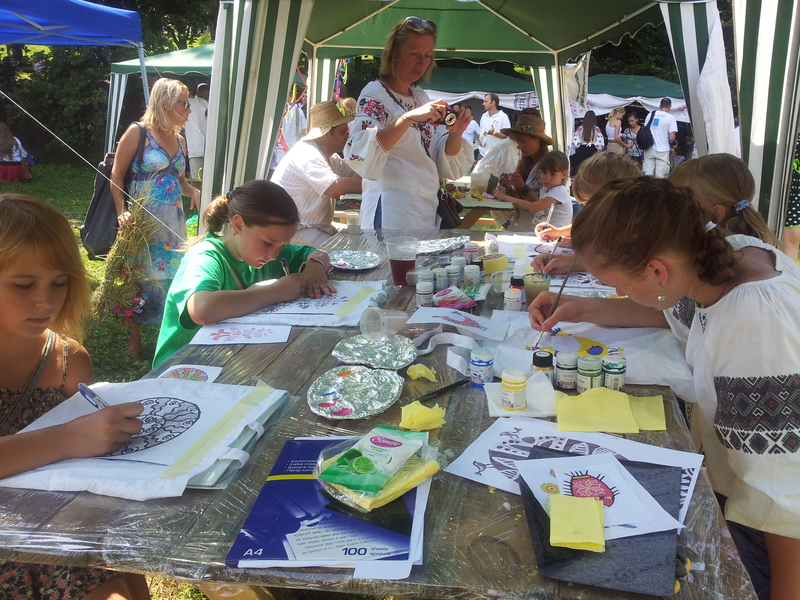 – a T-shirt painting workshop during which each student decorated a T-shirt with his/her own hands. The faculty of Speсialized school #57 within-depth study of English took their students to us for a pottery class during which each student made two items – a moulded clay figure and a piece of crockery on a pottery wheel. 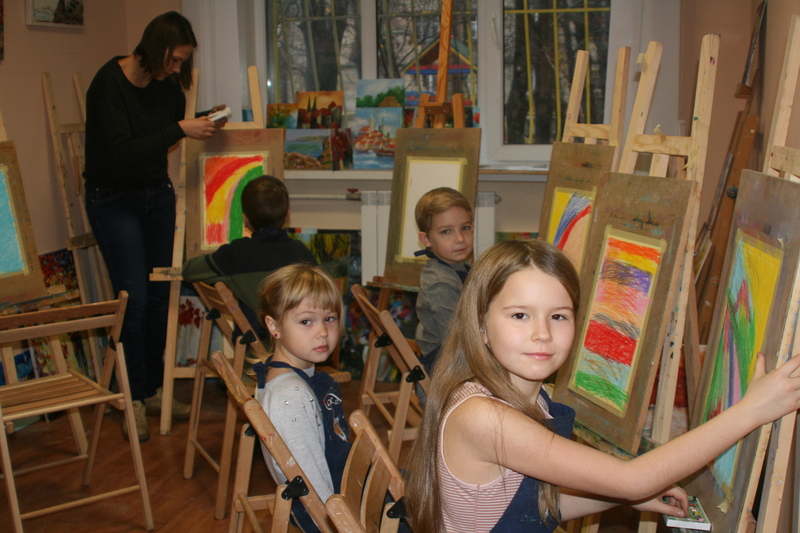 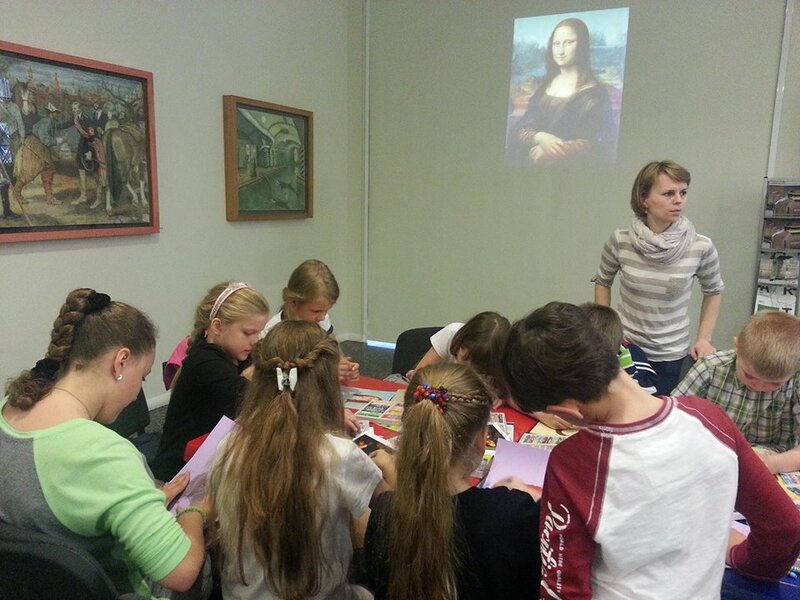 The students of Speсialized school #17 within-depth study of mathematics were interested in History of Art, so together with Dymchuk Gallery we conducted classes in the Renaissance Epoch Art, introduced students to creations of Leonardo da Vinci and tried to paint Mona Lisa. 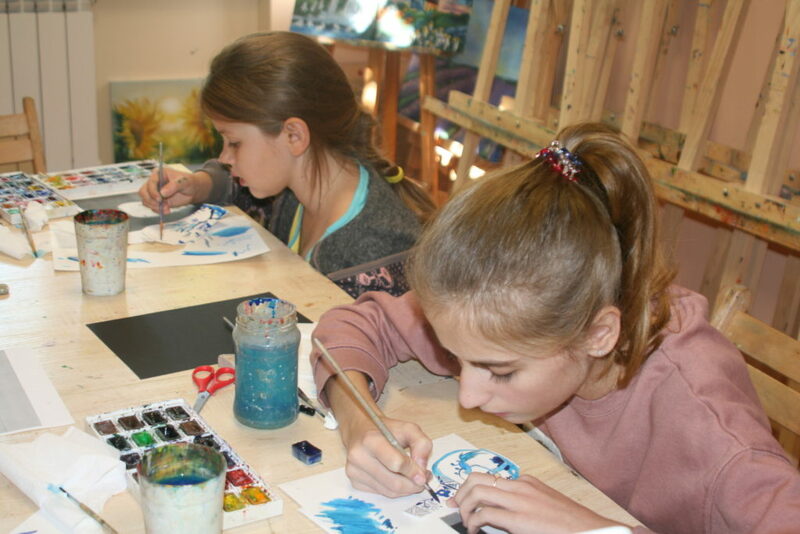 -a Petrykivka painting workshop during which each participant ornamented a wooden plaque in traditional Petrykivka painting technique. 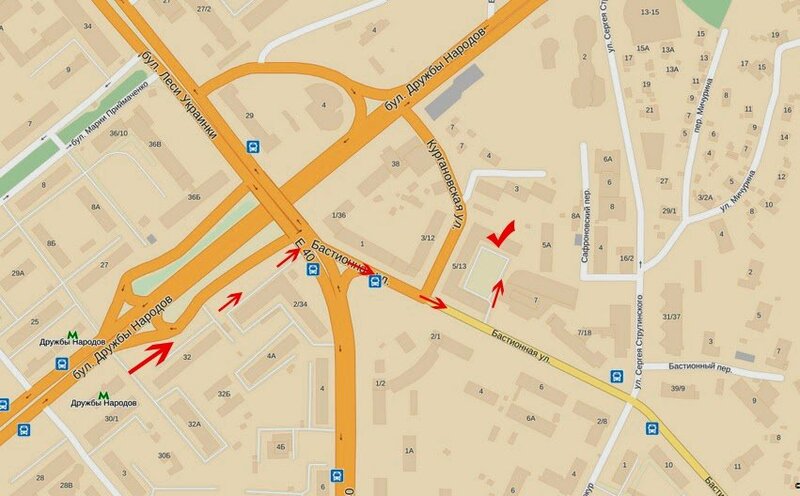 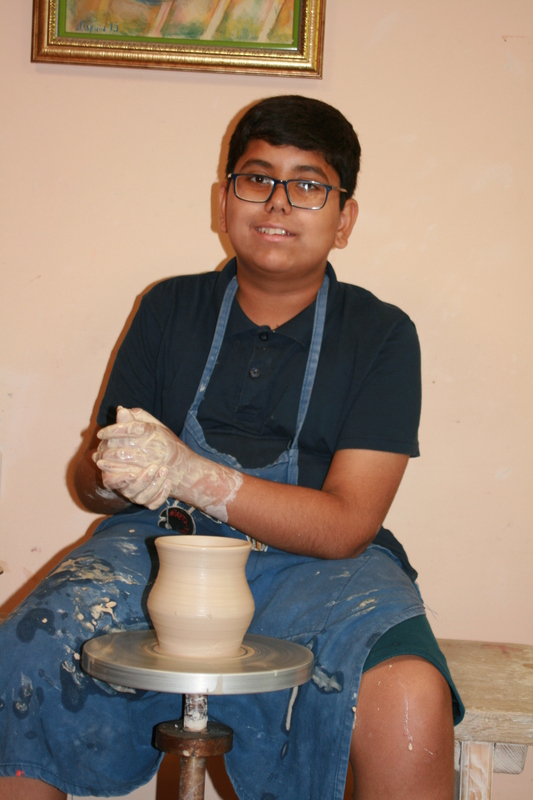 Master classes for groups of up to 20 children may be conducted in our studio. 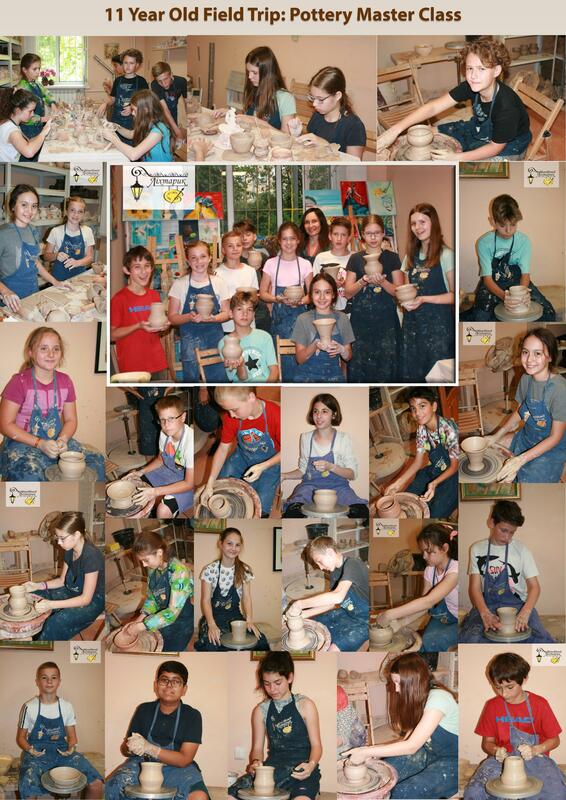 If the group is more numerous, we will be glad to come to your school.